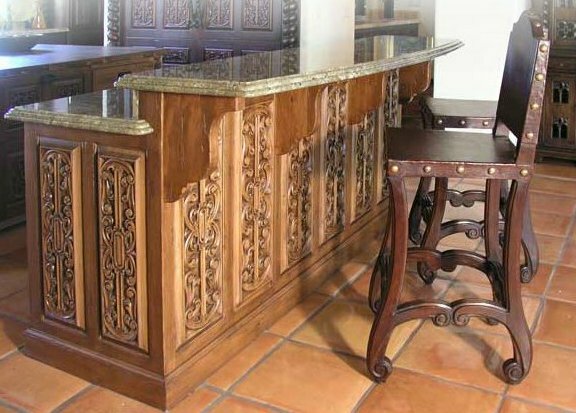 R Furniture and Architectural offer Interior Design services for Spanish Colonial Home decor, Spanish Hacienda Home decor, Spanish Mediterranean Home decor, Santa Barbara Home Designer, Tuscan dining room, Tuscan Decor, Old World Home Decor, Renaissance Home Decor, Rustic Home Decor, Italian Villa Home Decor including Mediterranean, Moorish, Gothic, Medieval, Monterey, Santa Barbara style, Classic Western, and Cowboy chic designs. Renaissance Architectural - Old World Tuscan Interior Design - Calabasas, Hidden Hills, Malibu, Santa Barbara, Miami, New York, Paris, London. 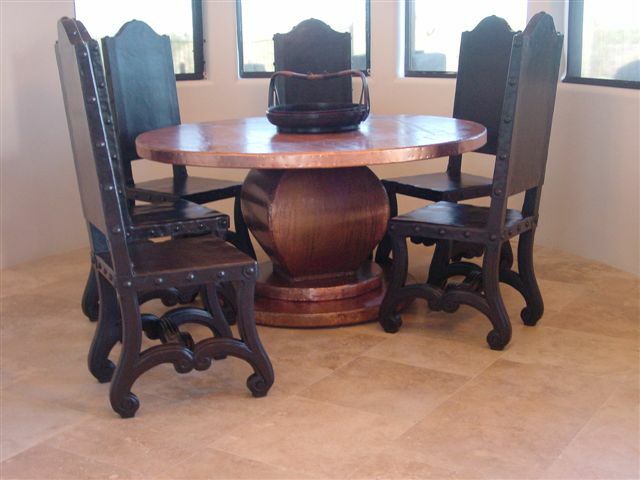 Isabellina Dining table and chairs in Calabasas Old World Tuscan Home. Santa Barbara Home Designer..
Espanola Hacienda Dining Table in Custom Spanish Revival Home used in the production of ABC TV's "The Bachelor". Sant Barbara Home Designer. 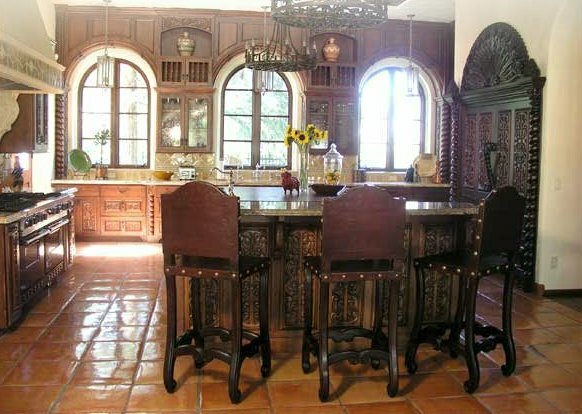 Old World Spanish Hacienda Home Interior design for kitchen and bar. Santa Barbara Home Designer. Old World Spanish Mediterranean Home interior design for Panama City Beach, Florida. Old World Spanish Mediterranean Bedroom furniture for Panama City Beach, Florida. Old World Home Decor with hand carved leather painting of Old World Baths Scenery. Interior design for Panama City Beach, Florida. 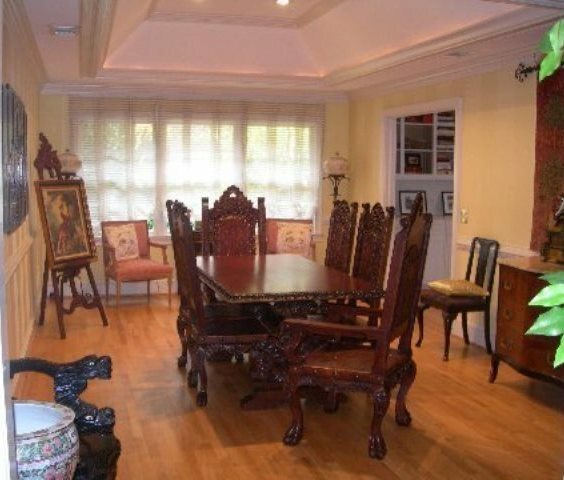 Old World Home Decor with hand carved leather painting of Old World Scenery and Spanish Mediterranean Diningroom set. Interior design for Panama City Beach, Florida. Spanish Revival Home Decor, Spanish Revival Home, Spanish Mediterranean Home Decor, Italian Renaissance style, Hand Painted Furniture, Spanish furniture, Interior Design, Custom Dining Room, Bedroom and Living Room furniture in Spanish Revival, Spanish Colonial, Spanish style furniture, Tuscan Furniture, Old World Furniture, Renaissance Revival, Rustic Furniture, Italian Villa, Spanish Mediterranean Revival, Gothic Revival, Medieval, Monterey, Classic Western, and Cowboy chic designs. 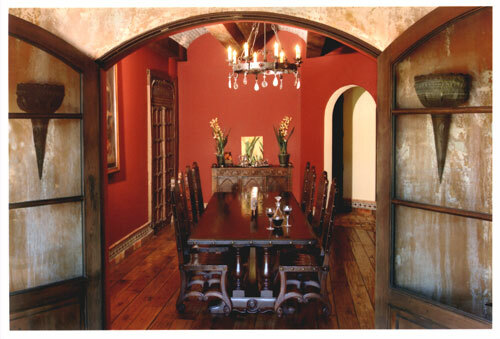 Specializing in designs featured in books like Casa California: Spanish-Style Houses from Santa Barbara to San Clemente, California Romantica: Spanish Colonial and Mission-style Houses, California Colonial, Monterey: Furnishings of California's Spanish Revival, Red Tile Style, Hacienda courtyards, Spanish Houses: rustic Mediterranean Style, Casa Mexicana Style, Revival Antiques, Cuzco Furniture.